There were 710 press releases posted in the last 24 hours and 154,058 in the last 365 days. PHILADELPHIA, April 17, 2019 (GLOBE NEWSWIRE) -- Spark Therapeutics (NASDAQ: ONCE), a fully integrated, commercial gene therapy company dedicated to challenging the inevitability of genetic disease, announced today that it will serve as the inaugural sponsor of Believe Limited’s first-ever science fair, which will be hosted at the National Hemophilia Foundation’s 71st Bleeding Disorders Conference, Oct. 3 – 5, 2019, in Anaheim, CA. The Science Fair™ will educate children and adults with hemophilia as well as other attendees about the science behind bleeding disorders in a number of engaging ways. The exhibit’s modules will combine the interactivity of a science center exhibit with the style of a classic school science fair. A scientific advisory panel of key clinicians is helping guide the educational messaging of each module, and community members will be invited to contribute to the final program. 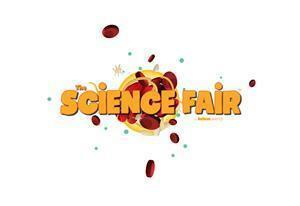 For more information on how you can participate in this year’s science fair, please visit www.TheScienceFair.org. Following the launch at NHF BDC 2019, Believe Limited plans to share modules of The Science Fair at future scientific and community meetings. Additional ongoing educational content will be available to the entire bleeding disorder community at www.TheScienceFair.org. Believe Limited is an award-winning boutique agency focused on creating educational, inspirational and deeply impactful digital content, live events, podcasts and more for rare disease communities, with a deeply-rooted focus in hemophilia and bleeding disorders. Their work has been honored by the National Hemophilia Foundation (NHF), Hemophilia Federation of America (HFA) and the WEBBYs. To learn more about their content and programming, please visit www.BelieveLTD.com. At Spark Therapeutics, a fully integrated, commercial company committed to discovering, developing and delivering gene therapies, we challenge the inevitability of genetic diseases, including blindness, hemophilia, lysosomal storage disorders and neurodegenerative diseases. We have successfully applied our technology in the first gene therapy approved in both the U.S. and EU for a genetic disease, and currently have four programs in clinical trials. At Spark, we see the path to a world where no life is limited by genetic disease. For more information, visit www.sparktx.com, and follow us on Twitter and LinkedIn. This release contains "forward-looking statements" within the meaning of the Private Securities Litigation Reform Act of 1995. The words ‘‘anticipate,’’ ‘‘believe,’’ ‘‘expect,’’ ‘‘intend,’’ ‘‘may,’’ ‘‘plan,’’ ‘‘predict,’’ ‘‘will,’’ ‘‘would,’’ ‘‘could,’’ ‘‘should,’’ ‘‘continue’’ and similar expressions are intended to identify forward-looking statements, although not all forward-looking statements contain these identifying words. We may not actually achieve the plans, intentions or expectations disclosed in our forward-looking statements, and you should not place undue reliance on our forward-looking statements. Any forward-looking statements are based on management's current expectations of future events and are subject to a number of risks and uncertainties that could cause actual results to differ materially and adversely from those set forth in, or implied by, such forward-looking statements. These risks and uncertainties include, but are not limited to, the effects of educating patients and caregivers on bleeding disorders. For a discussion of other risks and uncertainties, and other important factors, any of which could cause our actual results to differ from those contained in the forward-looking statements, see the "Risk Factors" section, as well as discussions of potential risks, uncertainties and other important factors, in our Annual Report on Form 10-K, our Quarterly Reports on Form 10-Q and other filings we make with the Securities and Exchange Commission. All information in this press release is as of the date of the release, and Spark Therapeutics undertakes no duty to update this information unless required by law.